Although modern garage door systems have become incredibly advanced, they can still experience the occasional malfunction every so often. Of course, a lot of problems can be prevented by understanding what usually causes them and taking the necessary steps to avoid these results. The primary thing that exacerbates problems and causes more of them to occur is an inappropriate installation. Your garage door needs to be installed by professionals, in order to make sure that such preventable issues don't manifest at all. There are a lot of things that can happen during the garage door installation process that an amateur may not notice, and those issues will eventually lead to worse problems and even accidents. Our technicians are experts in this field, and we'd be more than happy to assist you with the installation process. It's really quite astounding how such small components can be so incredibly vital to the proper functioning of your automatic Garage door. The photoelectric sensors that are installed on the lower parts of the vertical tracks are what your opener uses to detect an obstacle in the door's path. Since these components are quite delicate, their lenses can become dirty or scratched, which can cause them to falsely detect an obstacle, and the door will reverse as a result even though nothing is actually there. If they get out of their correct position they won't be able to properly do their job, which will seriously compromise your safety. They are often forgotten when dealing with a problem, but too often the issue can be solved by simply checking the sensors before anything else. Operating under such high amounts of tension day in and day out, your garage door springs are bound to succumb to wear and tear damage eventually. As their condition deteriorates, they will experience a variety of issues that will undoubtedly affect the performance of your door. If they start losing their tension then you may find that you have an unbalanced door on your hands. 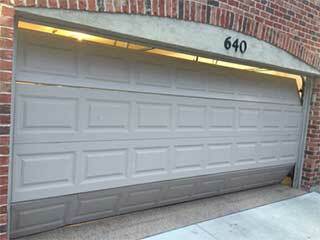 If their coils become rusty or wear out, then you will start to hear them squeaking each time you use the door. Examining them on a regular basis is extremely important, as when a spring breaks the violent release of stored tension can cause it to whip around and seriously injure someone standing nearby. Instead of trying to deal with these types of problems by yourself, you should simply reach out to a professional service provider who can take care of things for you. Dealing with garage door problems can be incredibly complex, not to mention dangerous, so don't hesitate to reach out to our team at Garage Door Repair Coral Springs whenever you suspect something's wrong.